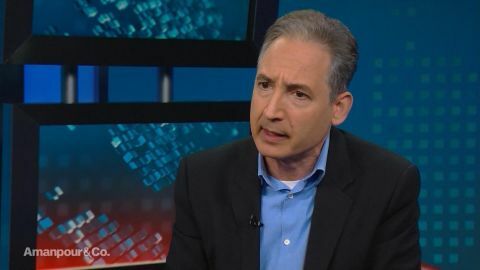 Walter Isaacson sits down with theoretical physicist Brian Greene to probe the origin of life and the universe. Professor Brian Greene is a world renowned physicist and a bestselling author whose creative storytelling helps make complex scientific theories accessible to a general audience. And he sat down with our Walter Isaacson to talk about the biggest scientific mysteries of our time and how quantum computing could drastically alter our future. Brian welcome to the show. If you could solve three scientific problems, tell me what they'd be. Very clear what they would be. So I want to know the origin of the universe. And we've gotten a little bit closer. We're closer but if you were to say to me so why did it start at all. We still don't have an answer to what happened at time zero, so origin of the universe. How did these particles coalesce and come together to yield living breathing things like us. But certainly we can't create life in the laboratory yet. When we can do that, then I would say that we've really cracked that problem. And the third is the origin of mind, the origin of consciousness as you were talking about. How is it that particles that don't seem to think on their own electrons and quarks. Do they cry? Do they have emotions? I don't think so but somehow they all swirled together. And here we are having an inner life that somehow lights up. What turns on the lights in there? Explain to me how quantum computing works. There actually are small quantum computers in existence now. So this is not just pie the sky. A classical computer, the ones that we typically use it goes step and step and step and step. Everything is sequential and everything is definite in the quantum world. You can do all of these fuzzy calculations at the same time and have them coalesce into the answer that you're seeking, which means you can do the calculations far more quickly, you can do the analysis far more quickly, you can tackle problems that a classical computer couldn't touch. What would that mean for our lives? To me that the real the real possibilities of quantum computing are to undertake problems that today we simply couldn't even approach using classical ideas or which we will take to a spectacularly new level. I mean one that comes to mind is machine learning. So machine learning has the capacity to transform everything and we're used to having devices be it a bulldozer or a jackhammer that extends the power of the human form to do things that otherwise would be impossible. But that's just sort of a stronger, faster, leaner version of ourselves, if you would. It doesn't really replace creativity in the human intellect. Machine learning, many people suspect may be able to do that. When a machine can actually look at large datasets and not be told how to analyze them, but learn by seeing the patterns. That's what we do, we are pattern recognition machines and when a computer can do that then we're in a completely different arena and that we see starting to happen and quantum computing is a very powerful means for recognising passengers dealing with large datasets. So this is at least you know it's decades off but this could be a place where we begin to really see computers doing the things that for the most part for all of human history we have viewed as intrinsically us. And that includes creativity, you said. But it seems to me creativity means something a computer couldn't do without thinking outside of a rule. Well we like to say that because we like to think that we're special and I don't mind the human species being a special entity in reality. But the fact of the matter is creativity may well be seeing unusual and hidden patterns within data, manipulating those patterns to a powerful effect and that happens inside this thing inside our heads. This grey gloppy thing and I think it just operates by the rules of physics and therefore if it operates by the rules of physics and doesn't have any other kind of inspiratio, why can't a device outside of a grey gloppy thing inside of our heads also undertake those very same kinds of calculations, computations and analyses. 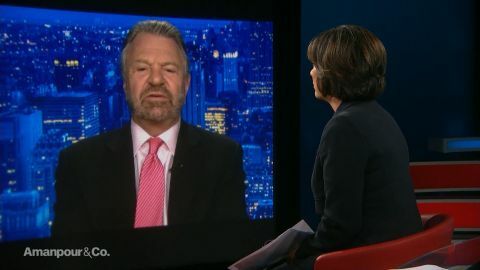 So I think it's very possible that one day, there'll be somebody in that chair who able to carry out this kind of interview that we're having and certainly somebody will do a better job than I am right here and that is when we cross a threshold into a brave new world. That grey gloppy thing you referred to, it has consciousness. Is consciousness explainable by physics? I don't have any proof of that. Now we're just in a territory of gut feel at the moment but again I don't think there's anything going on inside our heads that isn't ultimately the motion of particles and the oscillation of fields and we have equations that describe those processes that may not be the final equations. One day perhaps we will have them but I don't think you need anything else but physical law to describe ultimately what's happening inside of our heads. And from that point of view consciousness would simply be a quality of the physical world when there's a certain kind of collection of particles that come together in the right way and perform the right operations. You've been working whether be string theory and other things on trying to capture what Einstein wanted to do which is a unified theory that would connect quantum to gravitation to relativity and everything else. If we had a unified theory wouldn't we, wouldn't it all fit together again and not everything would be probabilities? Well, if you believe Albert Einstein's vision then indeed that's where we would be heading. Einstein thought that if we could just get a unified theory, all of this quantum stuff that was certainly working at describing the data, he couldn't deny that, but he thought it's just a stepping stone to the deeper understanding and when we get there no more talk of probabilities, no more talk of entanglement, no spooky action, that's what he thought. But you know he passed on a while ago right, in 1955, and in the half century since every single piece of experimental data, every single mathematical development has pointed away from that vision. The vision that we have now is that the quantum world is here to stay and just accept it and get on with it because having that old vision is coming from an intuition that was built up over a long course of human history but it's the wrong intuition. So you don't think there's a unified theory? I do think there's a unified theory. I don't think it will accomplish what Einstein hoped it would. In other words we'll still have uncertainty. We'll still have quantum uncertainty and we'll still have quantum probabilities and all this weird quantum stuff will still be with us. The advantage of the unified theory is finally, we'll put together our understanding of gravity and our understanding of quantum physics into one unified whole. That would be progress but I don't think that progress will wipe out the quantum understanding. The other great advance in the past couple of years was cosmic background radiation came along. What did that explain to us? Well the cosmic microwave background radiation is our most powerful insight into cosmology. We all want to know how the universe began and again with Einstein's general theory of relativity updated by more sophisticated versions of the cosmology that it gives rise to in recent years, we have a pretty good sense. In the early universe we believe there was a kind of repulsive gravity that drove everything apart, rapidly stretched the fabric of space. And when we do our calculations, that stretching would have also stretched out little tiny quantum uncertainty in the early universe, sort of like if you have a piece of spandex. When you stretch out the spandex you can begin to see the pattern of the stitches. We believe that we can see the stitching of the fabric of space through the stretching and that is the microwave background radiation and we can do calculations that predict how the stitches should look, tiny temperature variations across the night sky and holy smokes when we do the observation and we compare it to the calculation of they're spot on accurate. We're talking about processes that happened thirteen point eight billion years ago. So thirteen point eight billion, something happened and then what? This wave came and it finally hit us? That's right. When we look up in the night sky and see the microwave background photons they've been travelling toward us for over 13 billion years and those little tiny packets of light have just the right properties that our mathematics predicts that they should. So we human beings crawling around on this little planet thirteen point eight billion years later are able to develop equations that seem to give us insight into proxies that happened billions of years ago. So what does that tell us about how the universe began? Well we think it probably began as this very compressed tiny nugget that was filled with an exotic cosmic fuel we called the infliton fuel. The name doesn't matter much but it's a fuel that gives rise to an exotic kind of gravity. This repulsive gravity that pushes everything apart. That's the bang in the Big Bang and we've been living through the aftermath of that cosmic explosion ever since. And the only reason why we believe these ideas is because of the microwave background radiation so completely agreeing with what our predictions say they should look like. You know the cosmic background radiation helps understand what happened in black holes. That's been one of your fascinations which is the edge of black holes. First let me ask you about your Icarus at the edge of time, how you try to explain that through art, through children, through music. Yeah well I think that these ideas need to be widely understood, widely discussed, widely shared and so if they stay within the hallowed halls of universities or esoteric journals, it really doesn't get out there. So we've tried various, you know unusual and blendings of science and art to try to reach a broader audience. This piece you're referring to, I collaborated with Philip Glass. It was a rewriting of the myth of Icarus, where the boy doesn't go near the sun with wax wings, he builds a ship and flies to the edge of a black hole and what happens is near the edge of a black hole, time slows down and when it comes back, thousands of years have gone by on Earth but only a couple of hours for him. So his dad is gone. So it's kind of a traumatic story, but Philip liked it and we turned it into a live stage work with an orchestra, a film and a narrator that kind of takes the audience to the edge of a black hole. We're navigating to avoid an unchartered black hole. And when you have that kind of experience it doesn't just make your head hurt, it kind of makes your heart pound right. If you get into the story you can feel the chill of the experience. And let me just tell you one thing, my son when he first encountered the stories I wrote, at the end he was crying. And someone said well don't you feel bad, you wrote a story that made your son cry because the dad is dead and so I said no. If general relativity, which is ultimately what's in this story, can make a five year old cry it's a good thing. That kid is feeling the science and you need to feel these ideas in order that they aren't just esoteric abstract nonsense. So much of this stuff is not something we can imply in our daily lives. We're never going to go near the edge of a black hole. We're never going to travel near the speed of light. Why is it important that we understand. Well my own sense is that the universe is incredibly rich and you don't have to know these ideas to live in this world. My mother doesn't know these ideas. She says they give her a headache and I totally get that and I respect it. But if you can get these ideas, it opens up a reality in wonderous ways. I mean to walk down the street and think that time for you is elapsing at a different rate from somebody on a street bench, to look up into the night sky and be able to think about the quantum processes that do give the microwave background radiation, to think about quantum physics allowing us to tunnel through barriers or have these strange spooky connections, it's just wondrous, and how tragic if people are cut off from these ideas simply because they don't speak the technical language of mathematics and physics. That's why I think these ideas need be brought out to the world in many various ways. Explain to me though that notion of you walking down the street and you're saying to yourself time is traveling for me differently than that person moving in another direction. Yeah well you know I've tried to see what it would be like to live these ideas. So at times I've forced myself to go around the world and really imagine in detail what's going on with time and with space and with quantum physics and yeah one of the key ideas of relativity is when you move relative to somebody else your clock is ticking off time at a different rate and it is very hard to hold these ideas in mind because you are assaulted all the time by conventional reality telling you that all clocks tick off at the same rate, which is wrong. It's false but it's hard to live with the truth because so much of your experience contradicts it, it's counter-intuitive because these effects are very small in everyday life. But I find there's something deeply wondrous every so often in actually living these ideas. So if I walk down Broadway today, what am I supposed to observe and watch and think? Well first of all recognize that the sidewalk is mostly empty space and that you're actually not touching the sidewalk because it's actually the electrons in your shoes that are repelling against the electrons in the concrete. So you're floating as you're walking along Broadway and yeah your time is elapsing at a different rate than someone who's sitting relative to your motion. Your time is also elapsing at a different rate from someone who's at the top of the Empire State Building Your watch is going slower than theirs. Because their gravity is less? Their gravity is a little bit less! And so why, why is that? Well the answer comes from Einstein's theories. I can imagine a world where that isn't the case so it's not like I can say logically it had to be that way but in Einstein's general relativity, gravity doesn't just pull on matter, it also pulls on time and when it pulls on time, it makes time elapse more slowly so at the surface of the Earth where gravity's a little bit stronger, the pull is stronger, time goes slower than at the top of the Empire State Building. 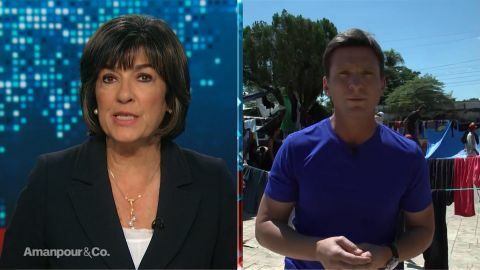 Christiane Amanpour speaks with CNN Correspondent Bill Weir and former Mexican Foreign Minister Jorge Castañeda about the migrant caravan traveling through Mexico, and former Commander of U.S. Forces in Afghanistan Ret. 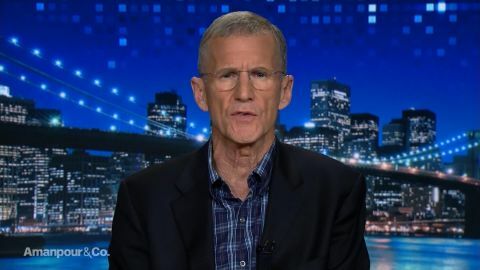 Gen. Stanley McChrystal on whether America is losing its longest war. Walter Isaacson speaks with theoretical physicist Brian Greene about the origin of life and the universe.